Address: #02-14 Bugis Junction 200 Victoria Street, Singapore. 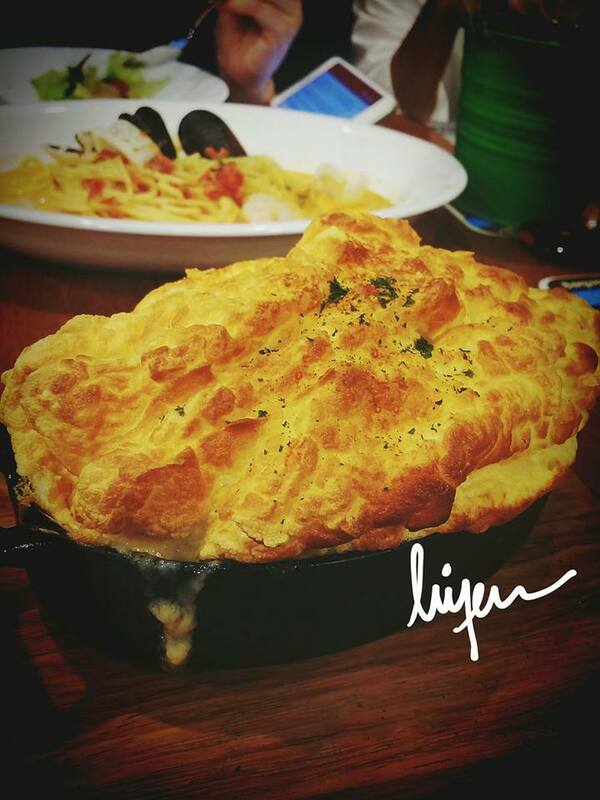 The fluffy egg soufflé on top of the thin layered of the tomato fried rice with ham and mushroom. It has plenty of thick ham on the right side and I hardly see any mushrooms in the fried rice. It is slightly imbalance. Overall, it is a delicious, worth to try and very filling because it is slightly creamy too. 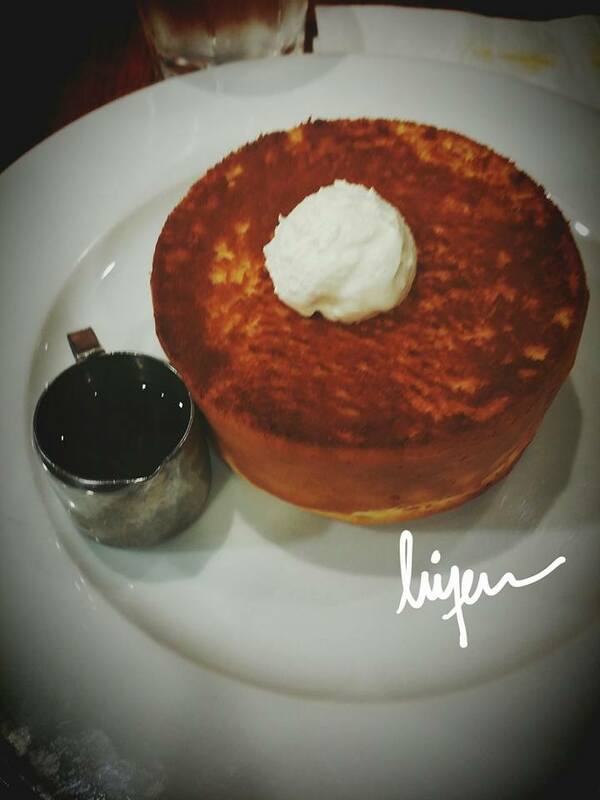 It is a regular plain pancake, very thick, soft and not very fluffy as I expected. The maple syrup and the pancake blend well and the whole piece of pancake is not too sweet.